This is a standard arrow sign. We have a psd file for this. 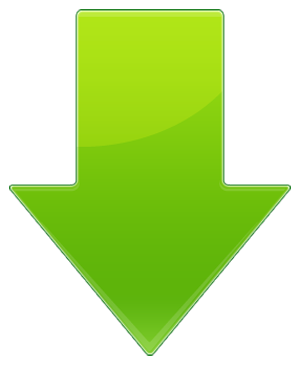 We often use this sort of arrow signs much much smaller to make a download icon. I set the frame line as 1px, so you can use this small. If you want to use this big, please change the line to about 3px then it will look nicer.